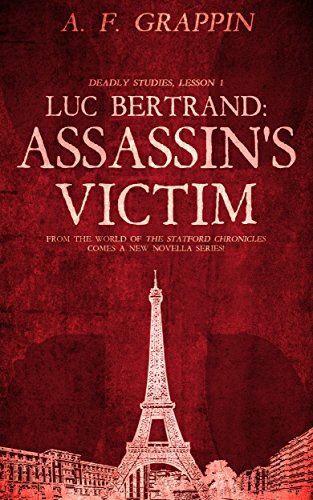 In The Statford Chronicles, Luc Bertrand is known as the Head of the Assassin’s Guild for the East Coast of the United States. But long before that, he was a young man in France. Luc is offered an induction into the Knights Templar. Luc’s father is one of them, so he has a place in their secret society. It will open a path to greatness. But something doesn’t feel quite right. Their reaction to his rejection is far more extreme than he could ever have expected. Suddenly, Luc has a target on his back and death looming over him. How will he escape being an assassin’s victim?